EACA’s web site devloper, Brian Cash with Alpine Internet will introduce our members to a fantastic advertising opportunity in our new Exhibitor Resource Guide which provides terrific exposure for EACA members with links to your web site and all your video and blog content.. The new 2018 Exhibition Industry Resource Guide includes an opportunity for EACA members to receive complimentary advertising on the EACA site, in the Resource Guide and on the EAC registration site. Registration is now open for the webcast. If you can’t attend the webcast live, it will be posted to the EACA web site in our growing webcast library. The EACA Board of Directors is holding its annual meeting in conjunction with ExhibitorLive on Tuesday, February 27. Among the items being taken up on the meeting agenda is a new certification program for EACA members. Nth Degree’s Southern California office, Newcomb will be responsible for the growth and development of the company’s events business as well as working with current accounts in support of their face-to-face marketing goals. Momentum Management Opens Base City in Denver and Welcomes City Manager Mike Kuhnlein. Momentum Management has opened a new base city in Denver, Colo. Mike Kuhnlein joins Momentum Management after managing the city of Denver for Zenith LaborNet over the last eight years. beMatrix Owners Decroos and Van der Vennet Acquire Interests of Laarhoven and Wachholz. <Exhibit City News> With worldwide revenue expected to double in 2018, beMatrix is solidifying its global branding vision. To that end, owners Stefaan Decroos and Edwin Van der Vennet have taken the initiative to acquire the interests of beMatrix USA partners Robert Laarhoven and Lance Wachholz..
New Tax Reform Bill. On Dec. 22, 2017 the Tax Cuts and Jobs Act was signed into law. This tax reform bill will make significant changes to the federal tax code. Specifically, the tax reform bill will have a substantial impact on businesses. Revises the tax withholding tables for employee paychecks – The IRS just issued the new tables and guidance. Employees could begin to see the tax changes in their paychecks as early as February. Gerri LeCompte, Vice President of Payroll Services at Employco anticipates that “the IRS will release a new Form W-4 for the 2019 tax year”. Lowers the corporate tax rate – Beginning in 2018, the bill reduces the corporate tax rate to 21 percent (down from 35 percent) and eliminates the corporate Alternative Minimum Tax (AMT). Creates a new tax deduction for small businesses – The bill establishes a new 20 percent tax deduction for all businesses conducted as sole proprietorships, partnerships, LLCs and S corporations. Allows “expensing” of capital investments – The bill allows businesses to immediately write off (or “expense”) the cost of new investments for at least five years. Repeals or restricts many existing business deductions and credits – Because the bill substantially reduces the tax rate for all businesses, it also eliminates the existing domestic production (Section 199) deduction, and repeals or restricts numerous other special exclusions and deductions (including those for employer provided transportation and commuting benefits). However, the bill explicitly preserves business credits related to research and development and low-income housing, as well as deductions or exclusions for employer provided dependent care assistance programs (DCAPs), education assistance programs and adoption assistance programs. Repeals the individual mandate tax penalty imposed under the Affordable Care Act (ACA) – As a result, beginning with the 2019 tax year, individuals will no longer be penalized for failing to obtain health insurance coverage. Make Plans to Register for the Las Vegas Randy. 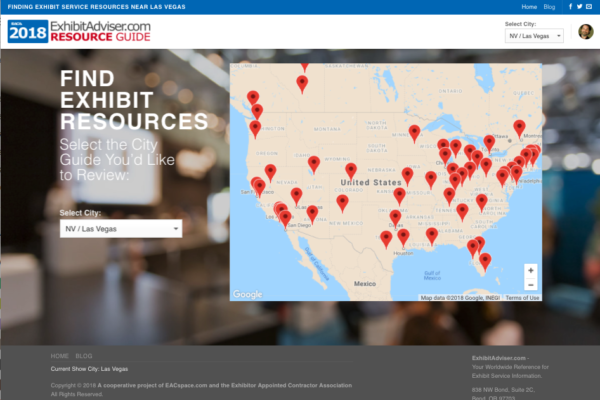 The Las Vegas Randy, sponsored by the RSMGC Foundation, the EACA, and the EDPA Foundation, takes place on Sunday , February 25, 2018 in conjunction with ExhibitorLive. The Las Vegas Randy, like other RSMGC events, will benefit families in the exhibition industry who have suffered severe tragedies or face insurmountable medical expenses. The commitment of the RSMGC is to provide financial and emotional support to all past and present recipients and their families.